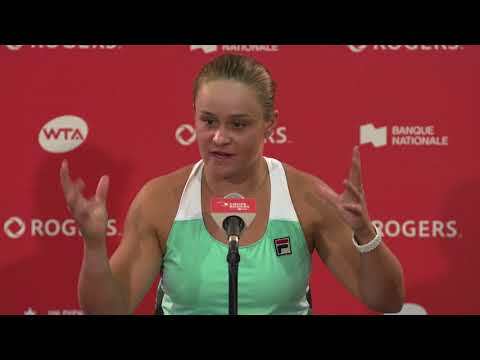 Rogers Cup presented by National Bank will welcome the best WTA players in the world to Montreal in just a matter of days. Among them will be four mothers, with their families in tow, who will compete in singles. Kateryna Bondarenko will be arriving in town with her five-year-old daughter Karin as she tries to earn a place in the main draw during qualifying weekend. In her first Rogers Cup appearance in 2016, Bondarenko qualified for the main draw and fell in the opening round to no. 14 seed Karolina Pliskova. Coached by her husband Denis Volodko, the Ukrainian returned to the tour eight months after giving birth. Even though her return was challenging at first, Bondarenko certainly doesn’t regret her decision. “It’s more fun to travel with her (Karin) because she makes me laugh even if I lost or I am in a bad mood. It’s nice to have her and not think about tennis all the time,” she said. Meanwhile, world no. 81 Tatjana Maria of Germany will visit Montreal for the first time alongside her daughter Charlotte who was born at the end of 2013 as well as her husband and coach. Maria has enjoyed her best results on court since becoming a mom. Last November, she achieved a career-high ranking of no. 46, five months after capturing her first WTA title in Spain and then knocking out Elina Svitolina in the first round at Wimbledon. Maria is not surprised by her success recently saying that being able to travel the tour with her family is a special experience. Victoria Azarenka will also be making her first appearance in Montreal since giving birth to her son Leo in December of 2016. 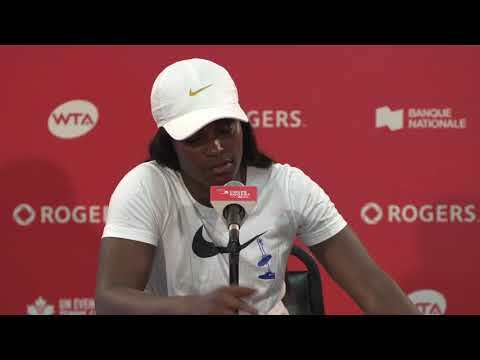 As she continues to make her way back up the rankings, the two-time Grand Slam champion was given a wildcard to play at Rogers Cup. Since becoming a mom, Azarenka has said she wants Leo to see her as a superhero and that finding the perfect balance between her career and her son is a challenge she thrives on. “My view has changed because at the end of the day, tennis is my job and you should only work a certain number of hours in a day. But you are a parent for life,” she explained. Let’s see if Leo bring his superhero mom and three-time Rogers Cup semifinalist some luck as she makes her return to Montreal this year. The fourth mom who will be competing in singles at Rogers Cup in 2018 is of course none other than Serena Williams, who will be back in Montreal for the first time since 2014. Alexis Olympia sure has inspired her legendary mom during her much-anticipated return to tennis. Just a few weeks ago, Williams advanced to the Wimbledon final in just the fourth tournament of her comeback. Let’s not forget that she captured 23rd Grand Slam title at the Australian Open last year while several weeks pregnant with her daughter. Granted a wild card for Rogers Cup, Serena will be looking to win for a fourth time on Canadian soil and first in Montreal. Make sure to come out and support these inspirational mothers beginning in just a few days!